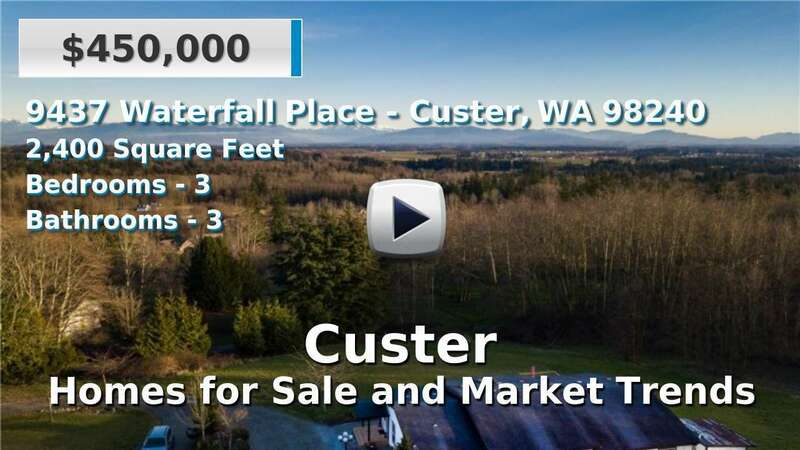 Custer is a census-designated place nestled right alongside I-5 just south of Blaine near the Canadian border. Established to newer single-family homes for sale here can be found on large lots to acreage. Custer was home to famous Country & Western singer/songwriter Loretta Lynn through the early 1950's & 1960's, at the start of her career, so may draw some tourist activity. Custer also features the Grandview Golf Course and California Creek, which borders the western edge of town. The Sardis Wildlife Center, Birch Bay and Cherry Point Aquatic Reserve are also nearby attractions. 3 Beds | 1 Baths | 1416 sq. Ft.
3 Beds | 2.5 Baths | 2382 sq. Ft.